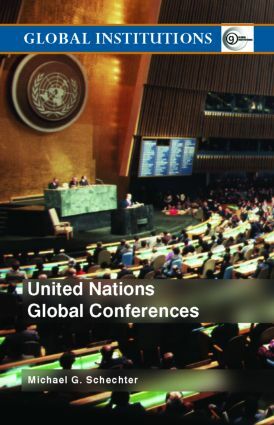 This new book covers the origins purposes, trends and controversies of the United Nations' global conferences. There are 30 such conferences to compare, and many argue that they have not been worth the money spent on them. Others, however, suggest that they offer the only effective way to address global problems, like racism, sexism, overpopulation, environmental degradation, overfishing, urbanization, and the proliferation of small arms. This book is essential reading for students of the United Nations, international organisation and global governance, as well as practitioners from non-governmental organizations.